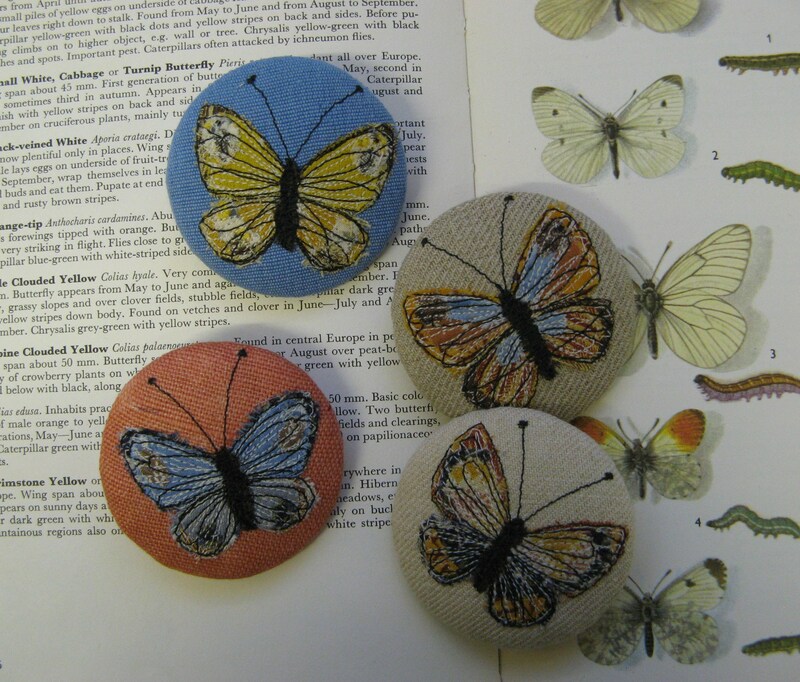 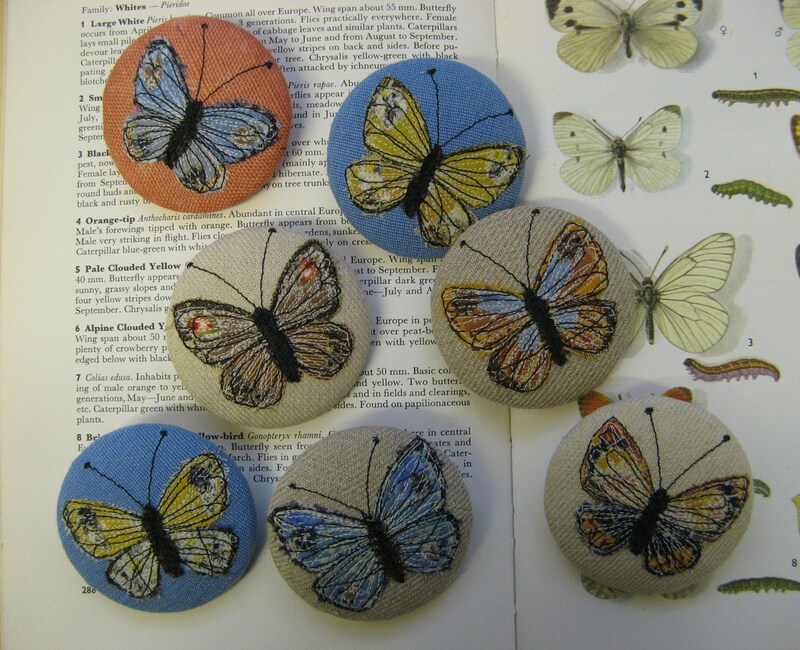 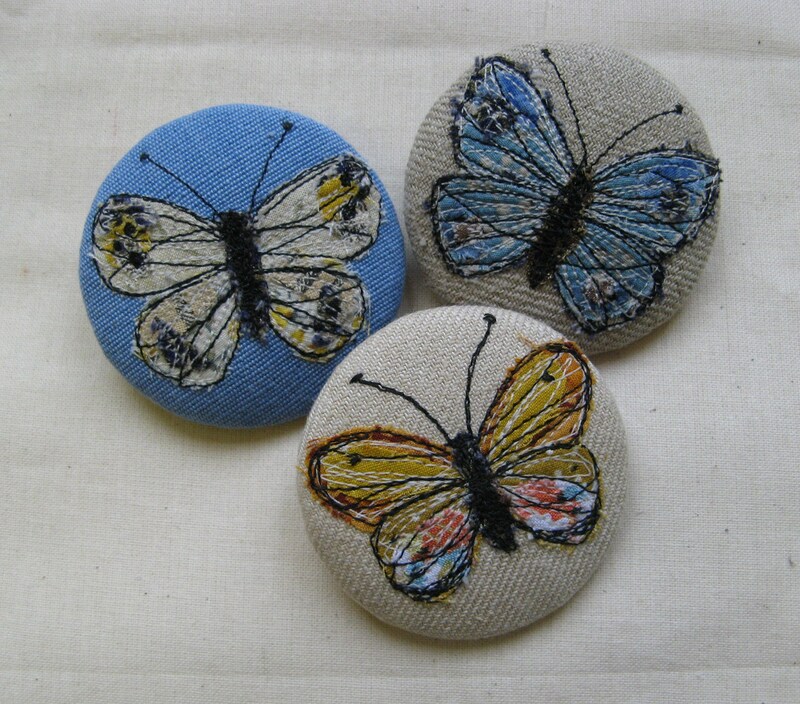 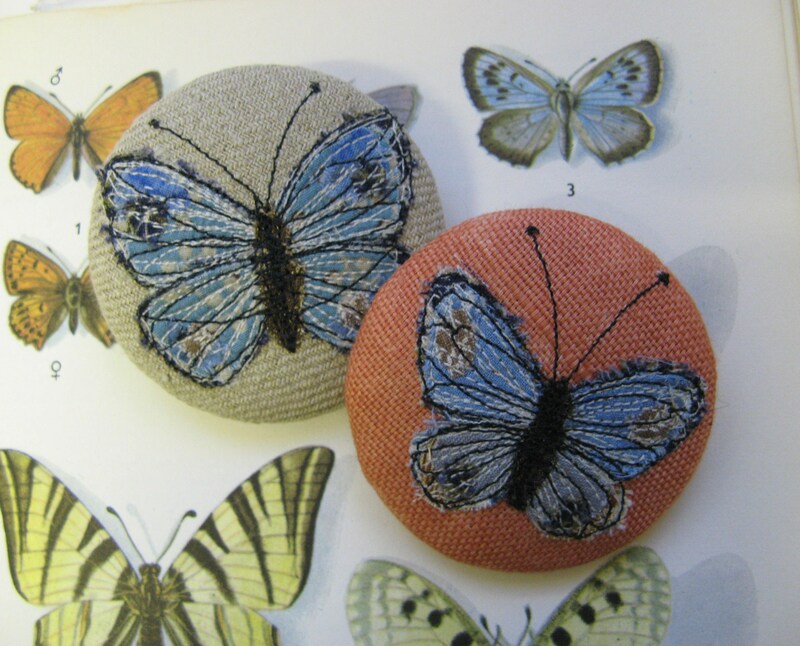 These are some butterfly brooches that I`ve been working on over the last week. 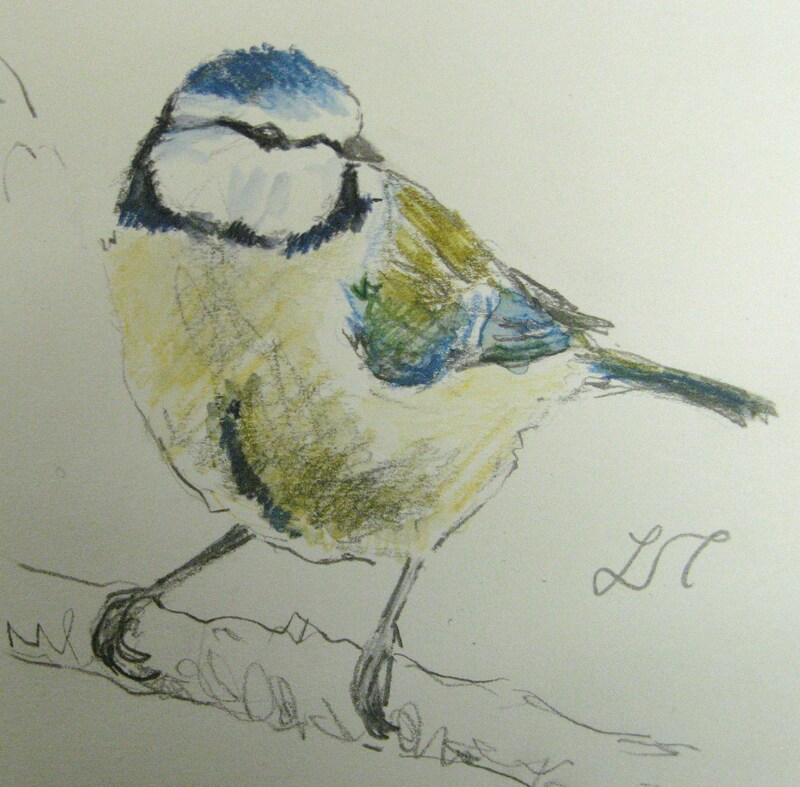 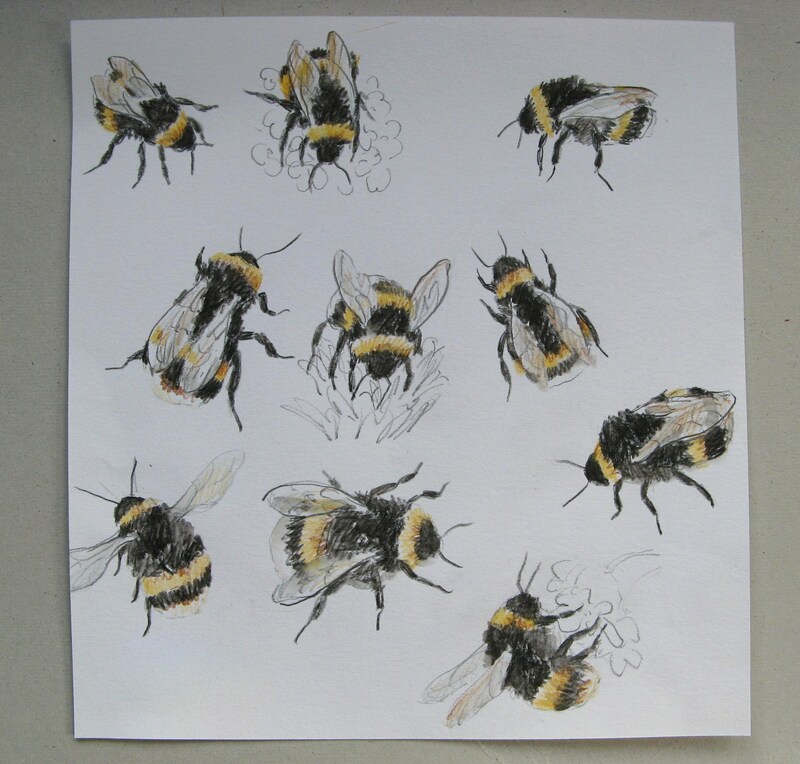 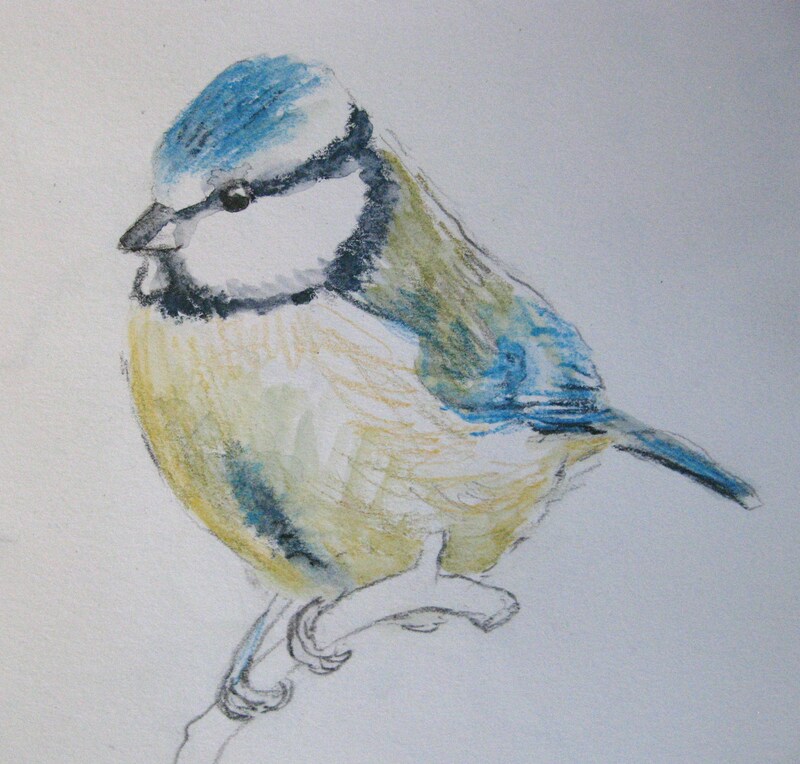 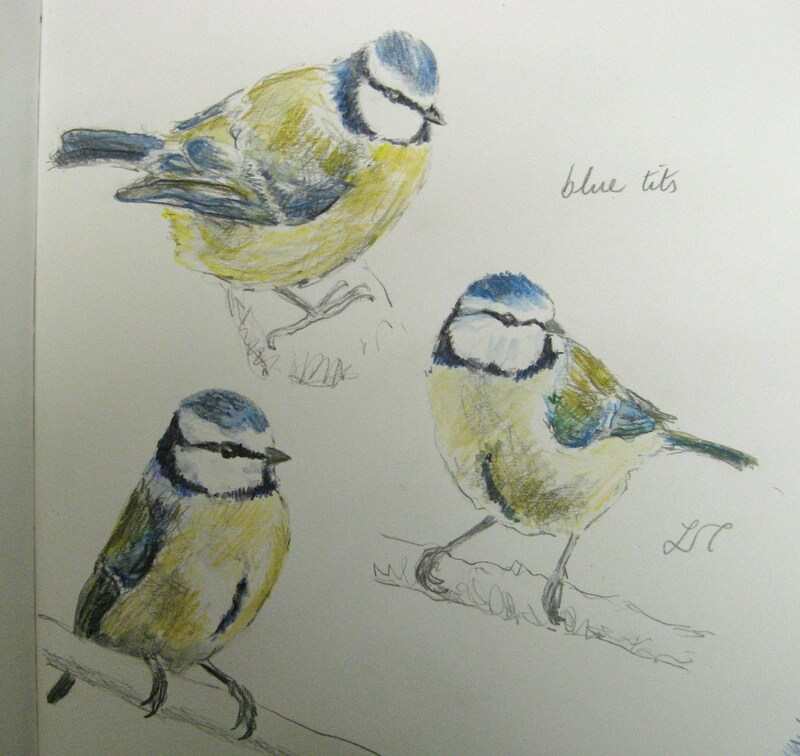 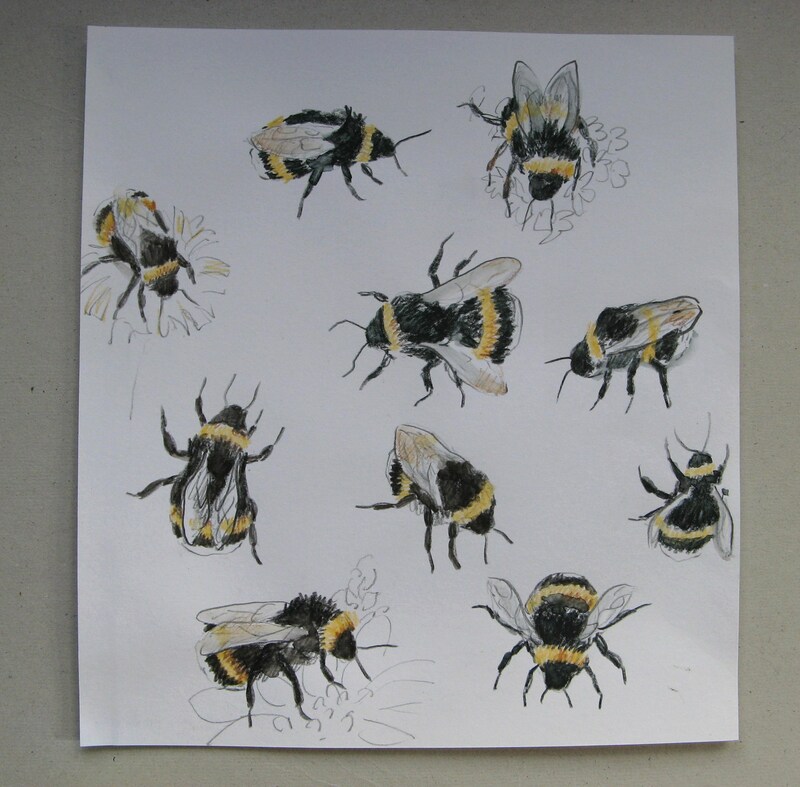 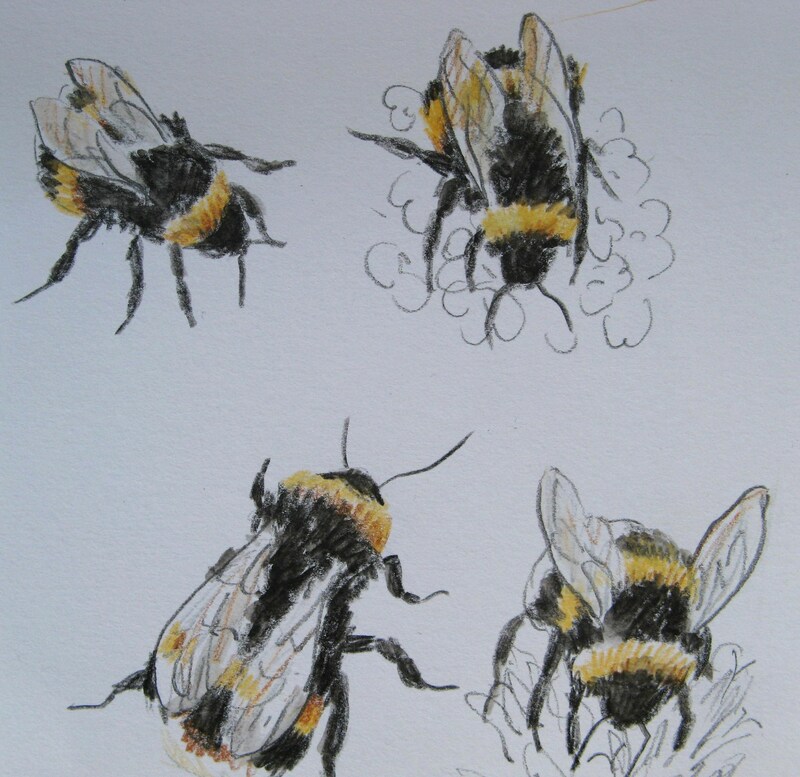 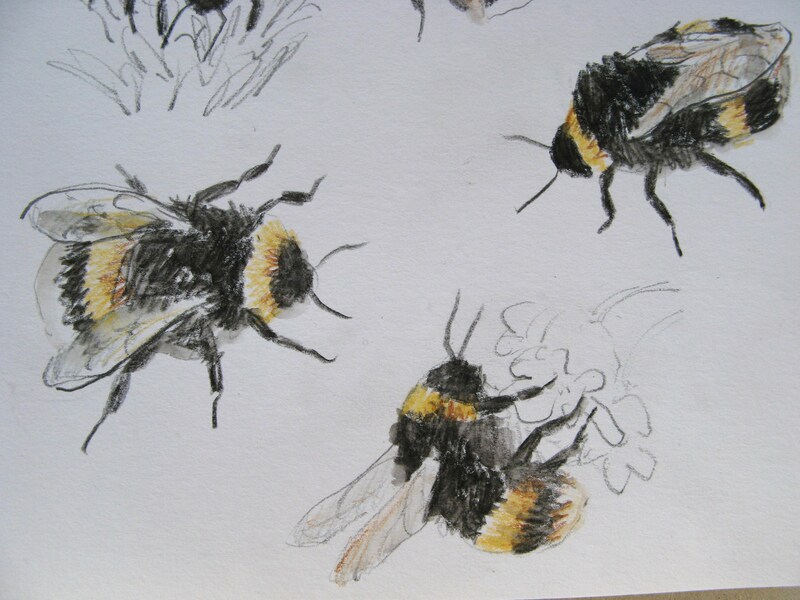 It took a bit of trial and error to get them right at first, but I`m really pleased with the final result. 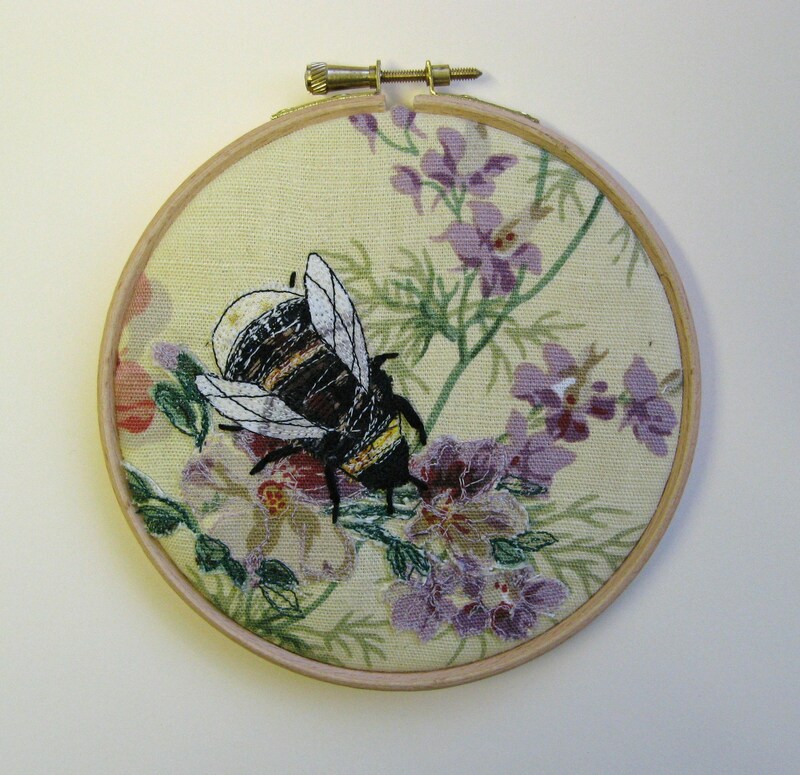 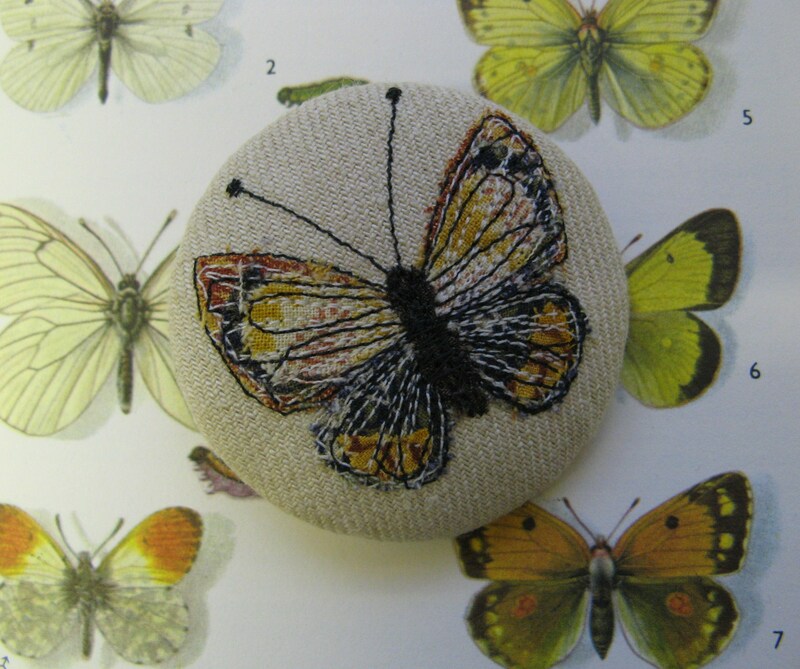 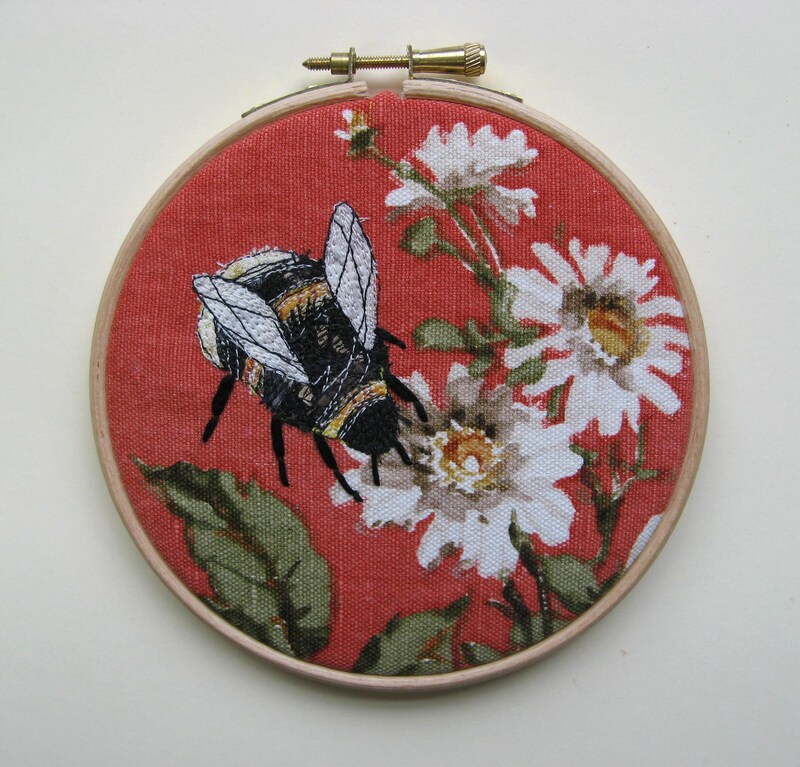 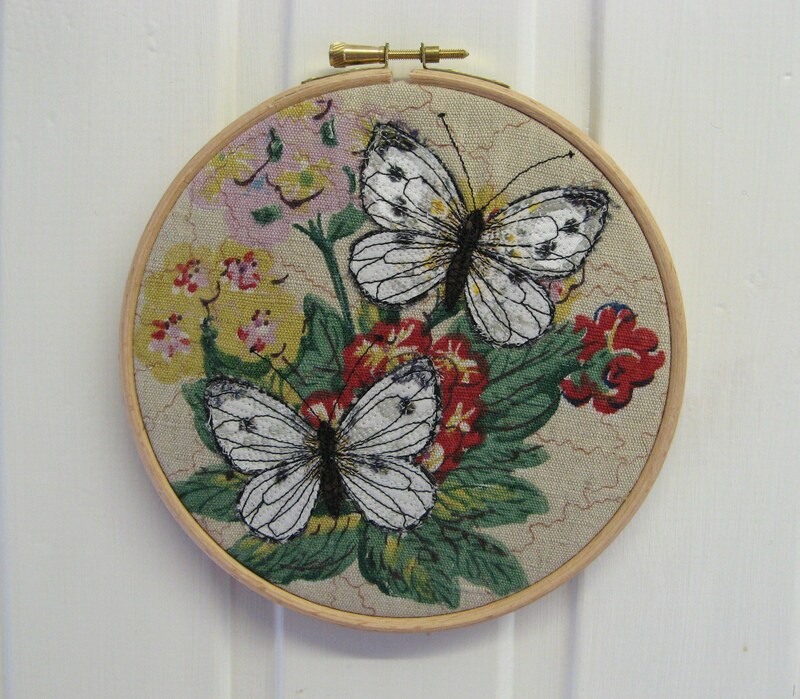 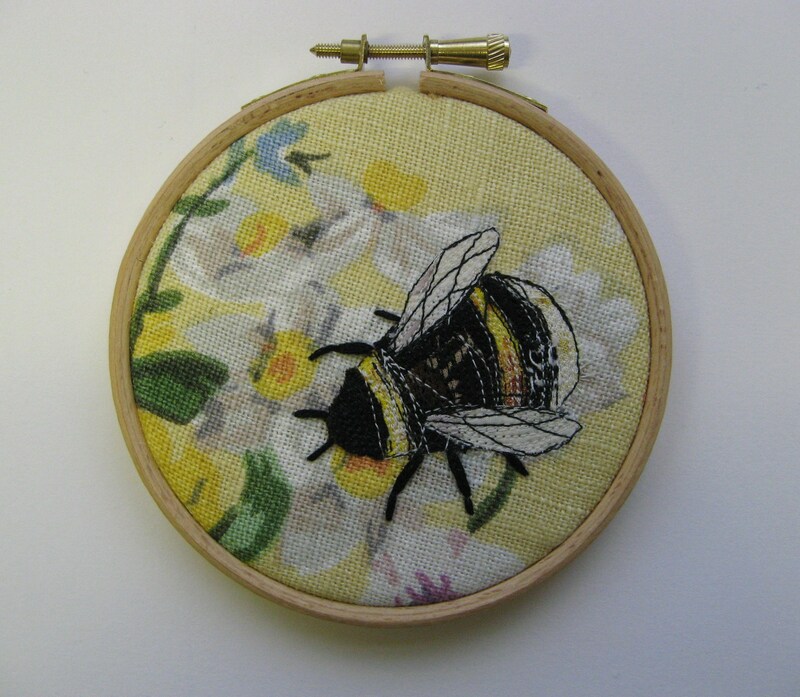 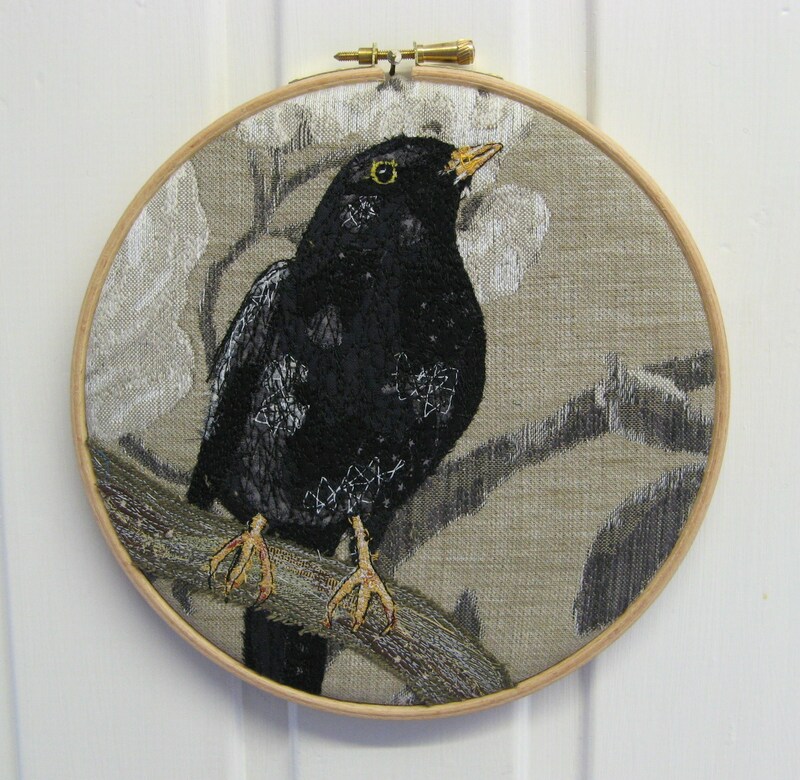 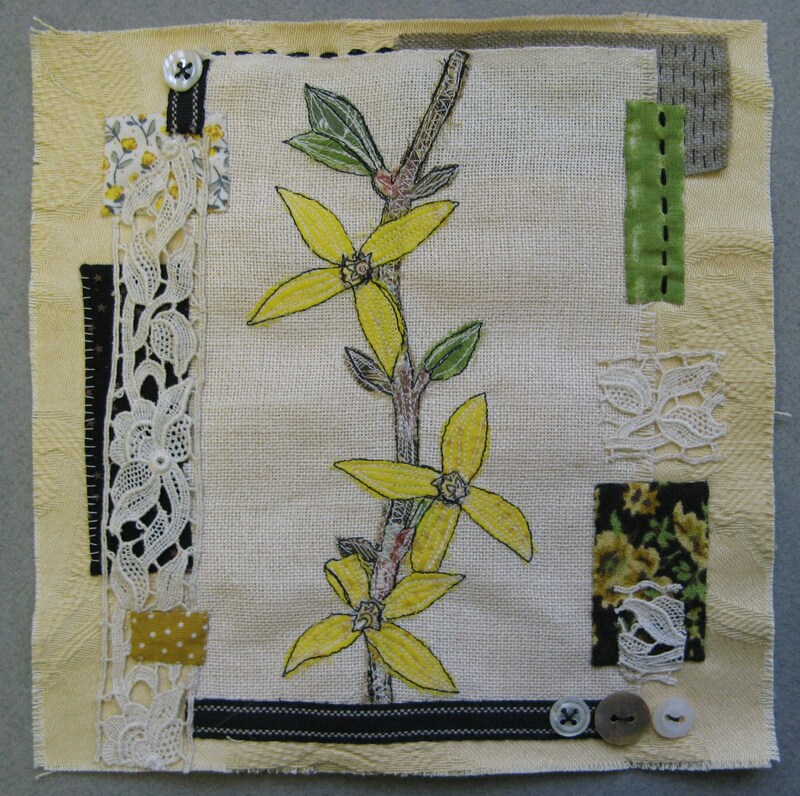 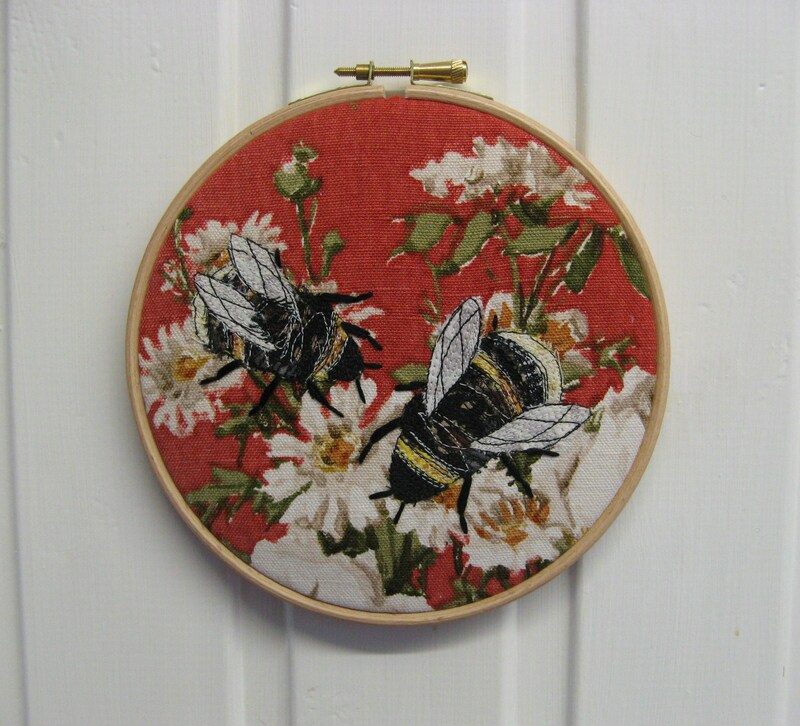 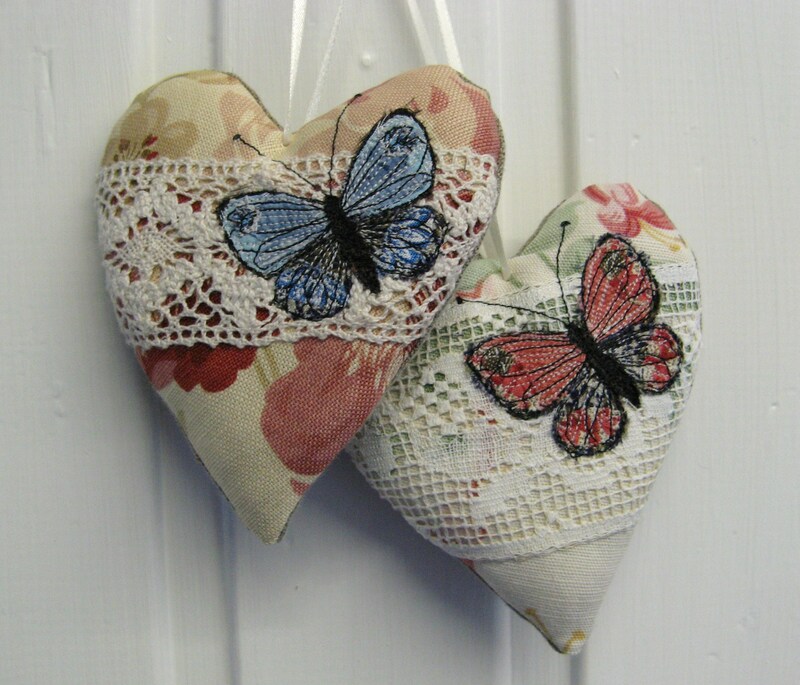 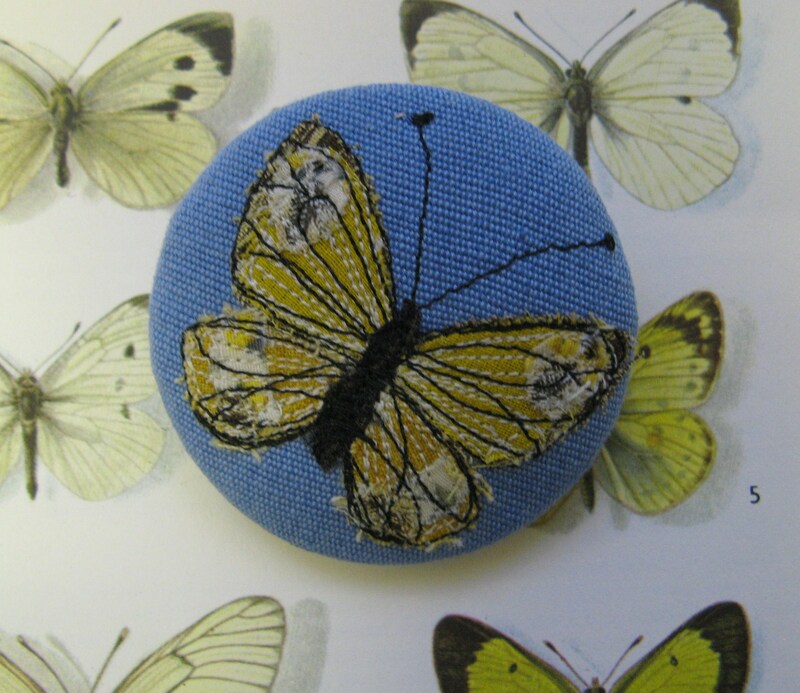 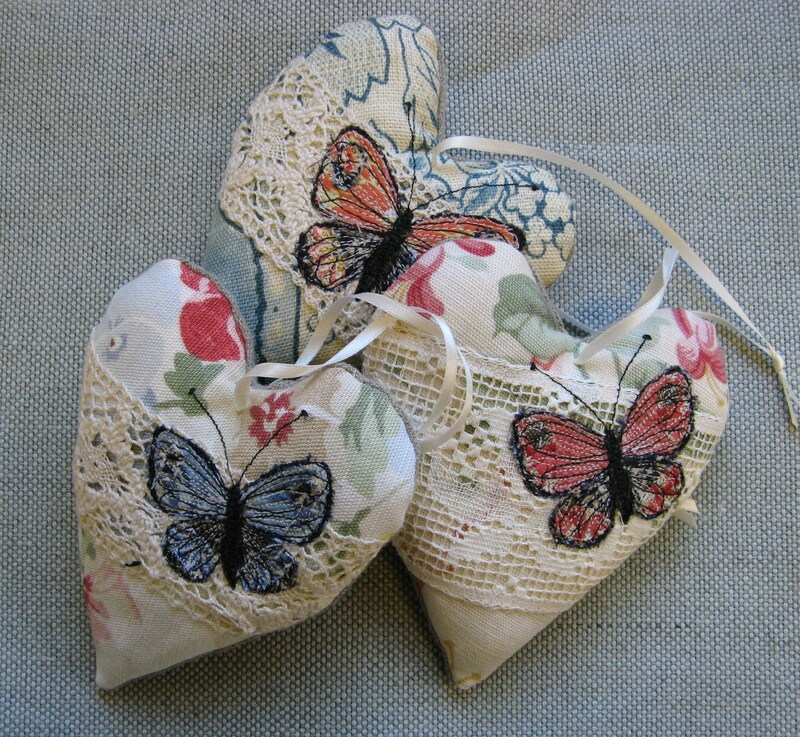 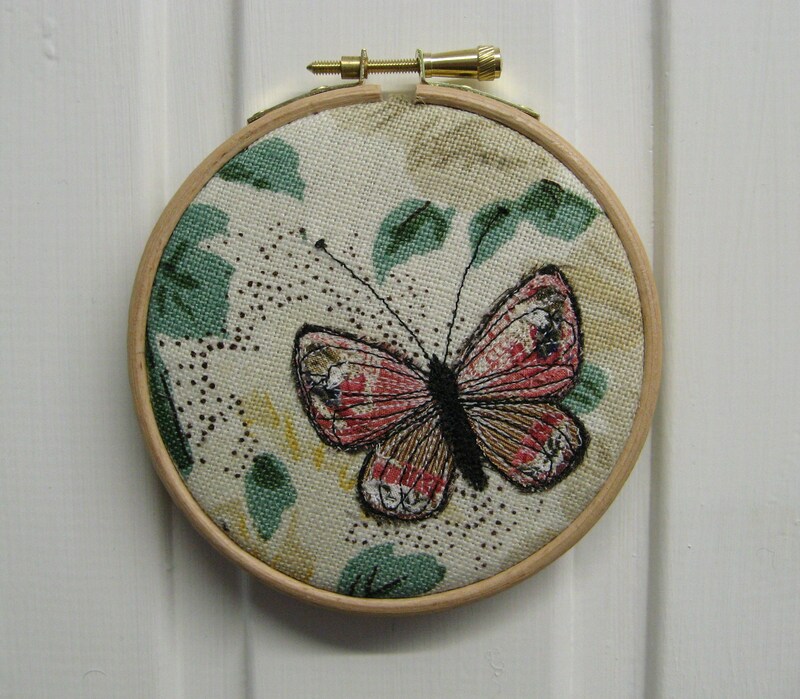 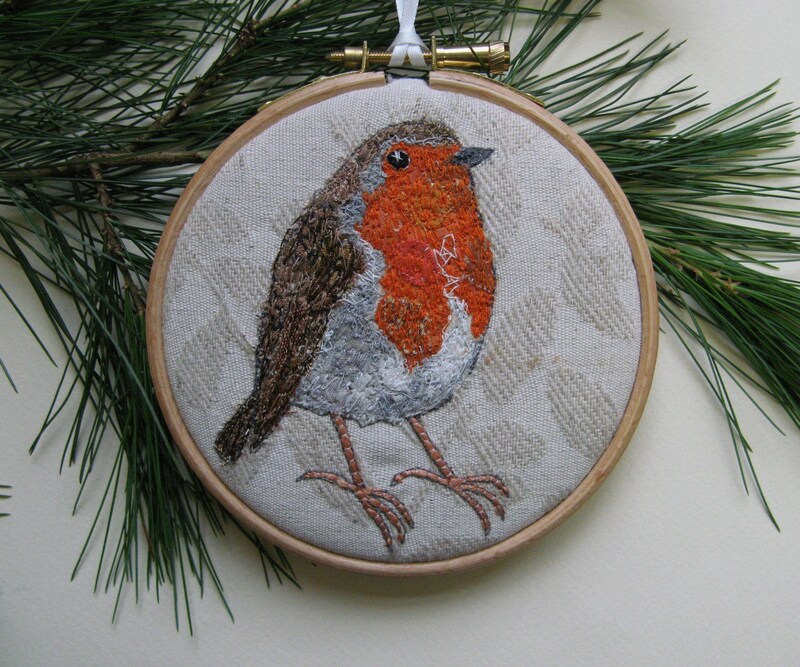 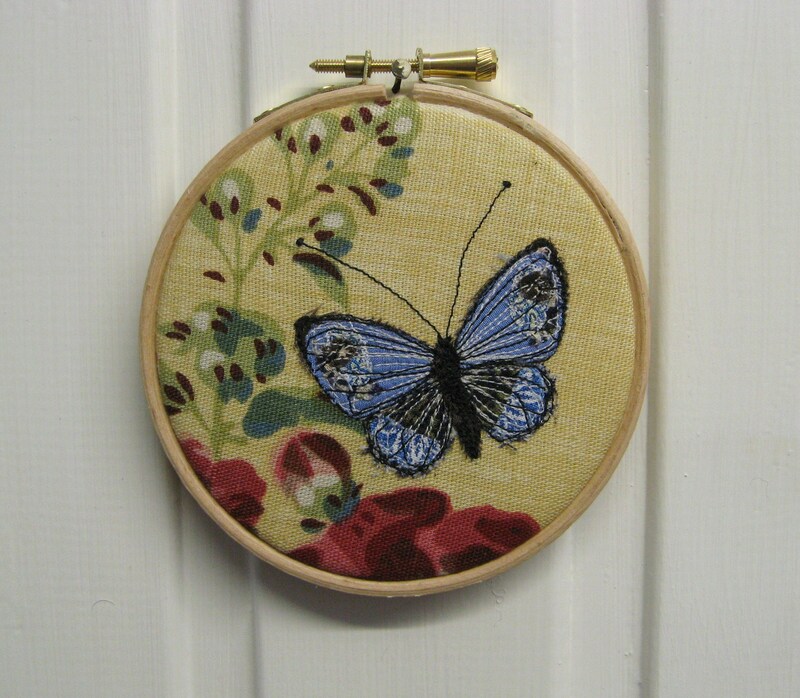 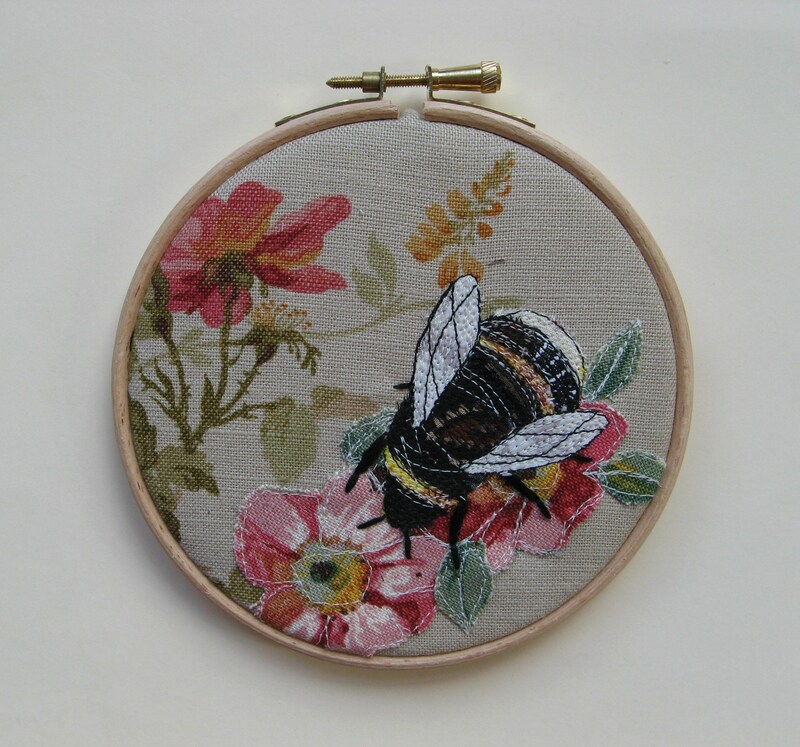 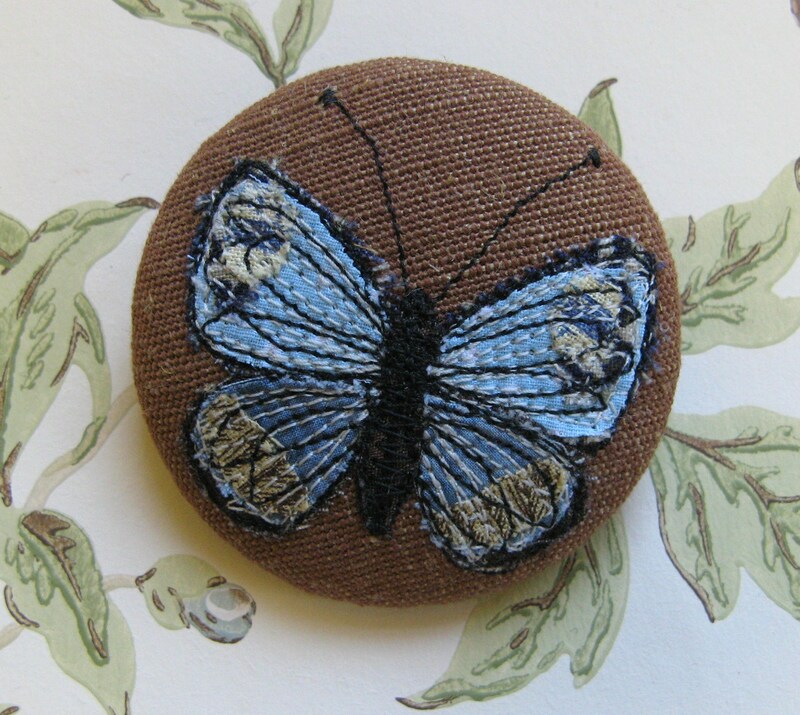 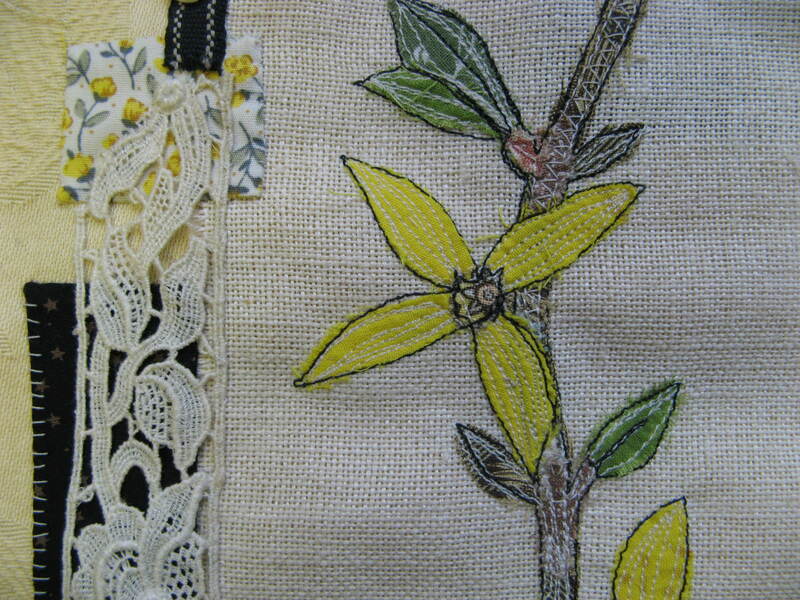 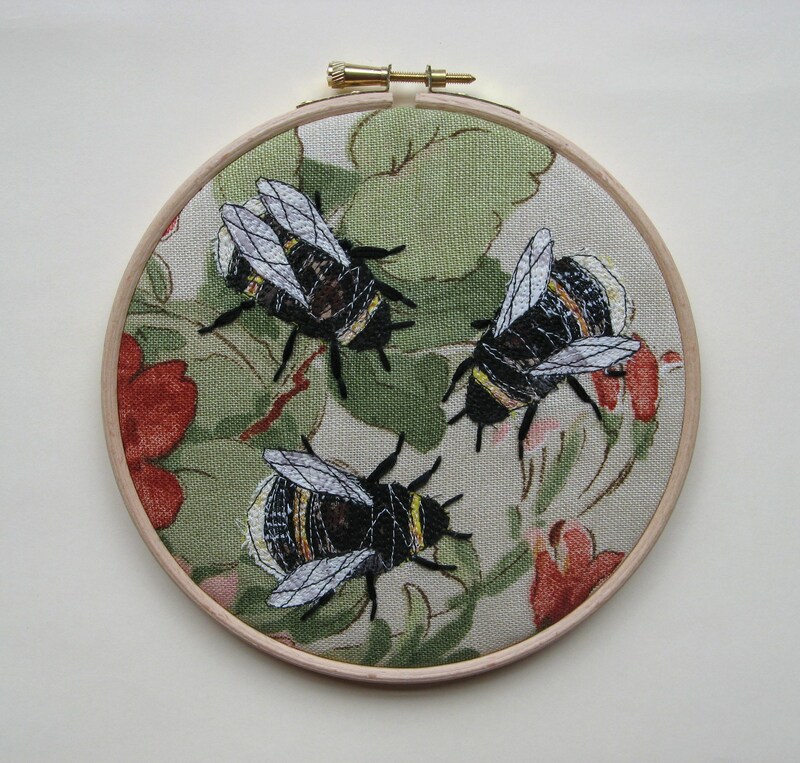 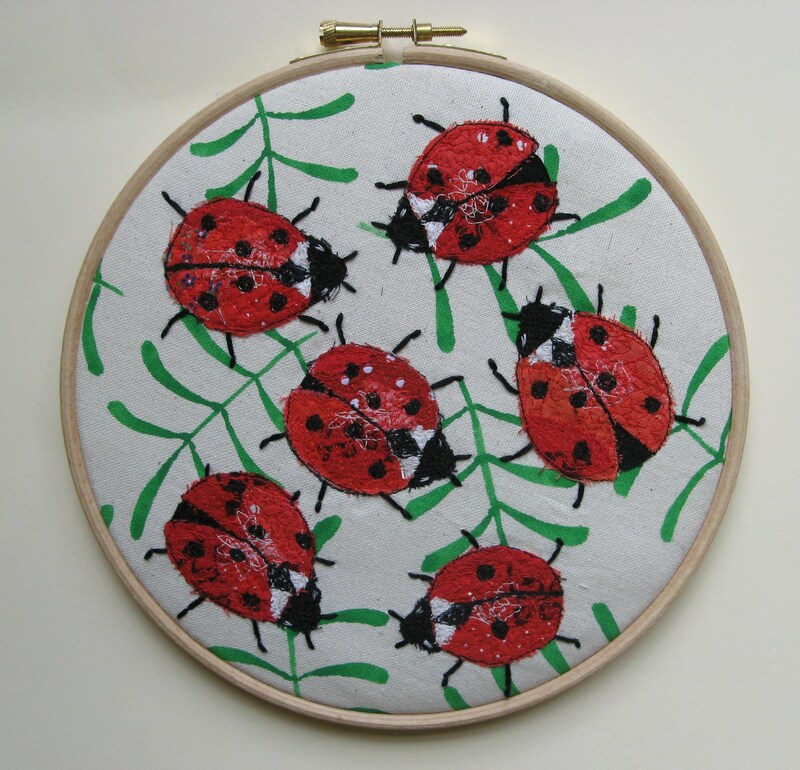 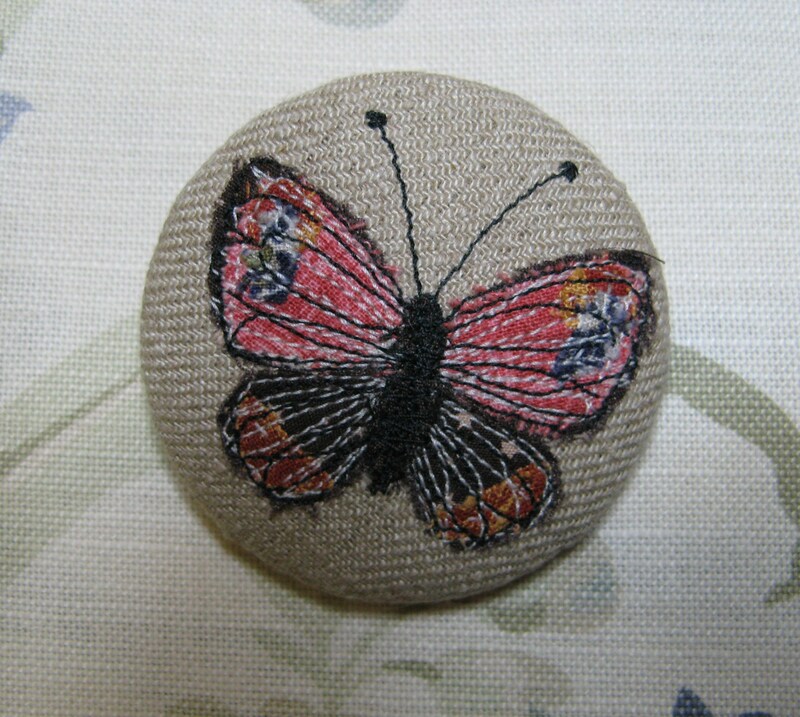 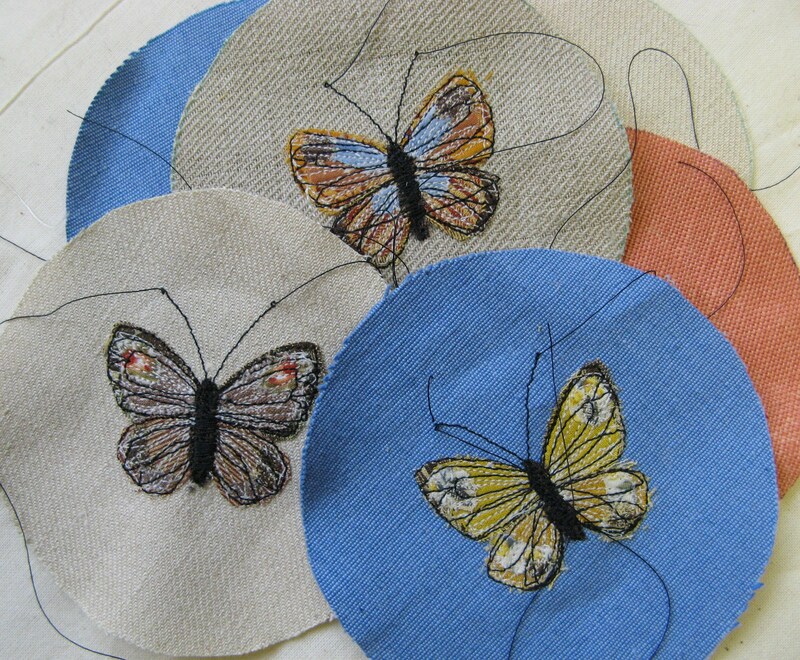 The butterflies are built up of layers of tiny scraps of fabric, handstitching and machine embroidery. 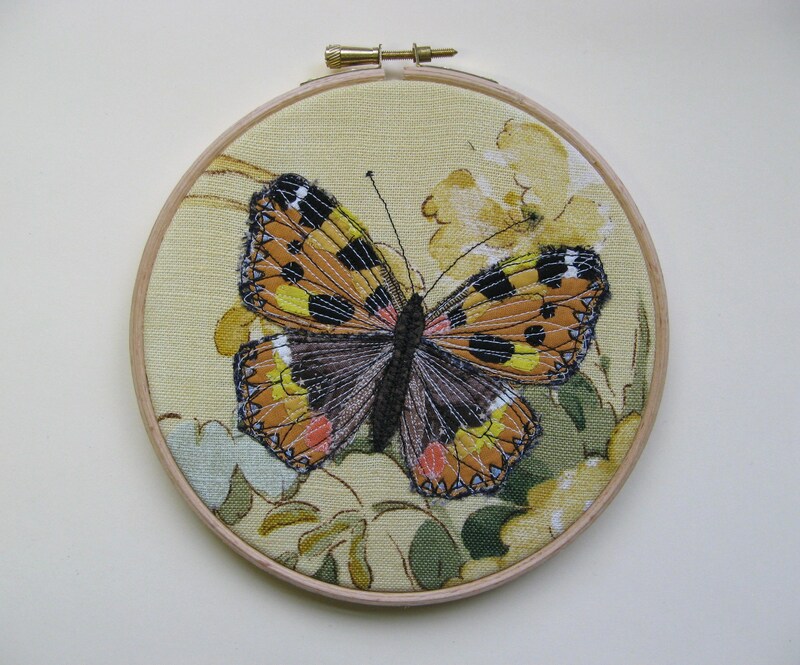 I painstakingly snipped out tiny pieces of cottons, choosing fabrics in soft, muted tones of orange, yellow, blue and brown to echo the colours of wild British butterflies. 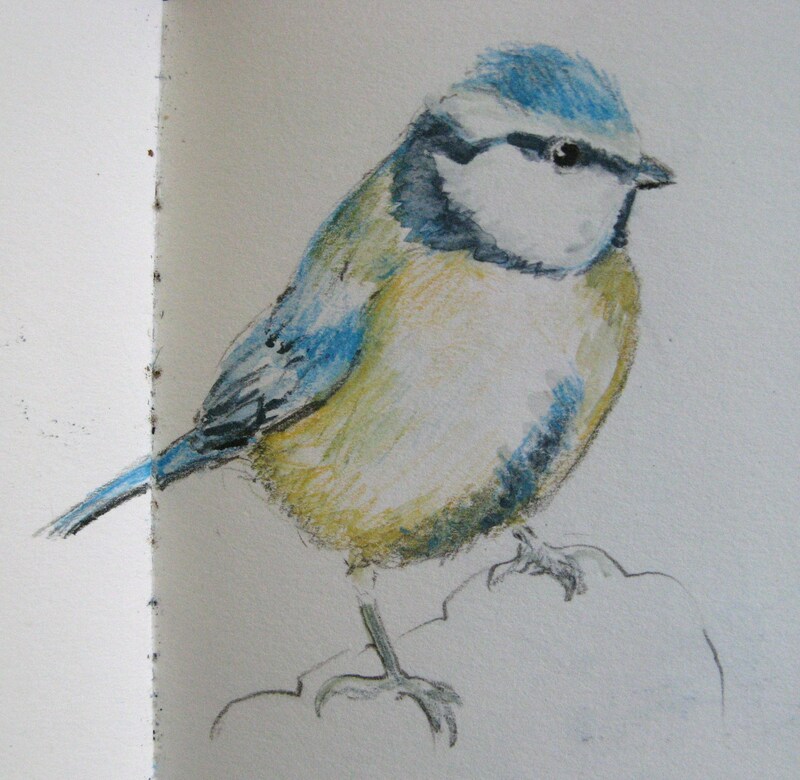 I was influenced by the illustrations in this vintage wildlife field guide book. 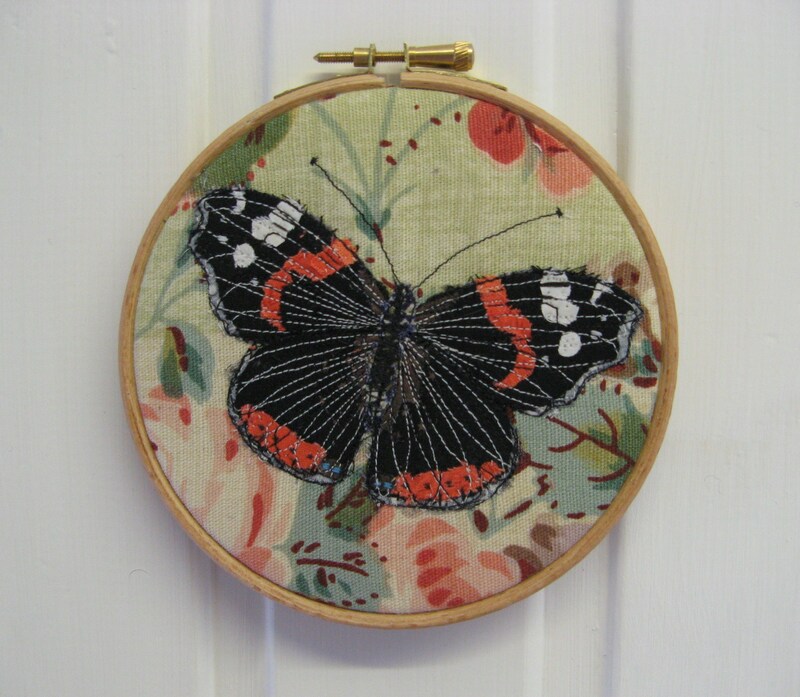 The layers of machine stitching softened the effect further, with the black stitching picking up details of veining on the wings, outlining the butterfly and drawing the antennae. 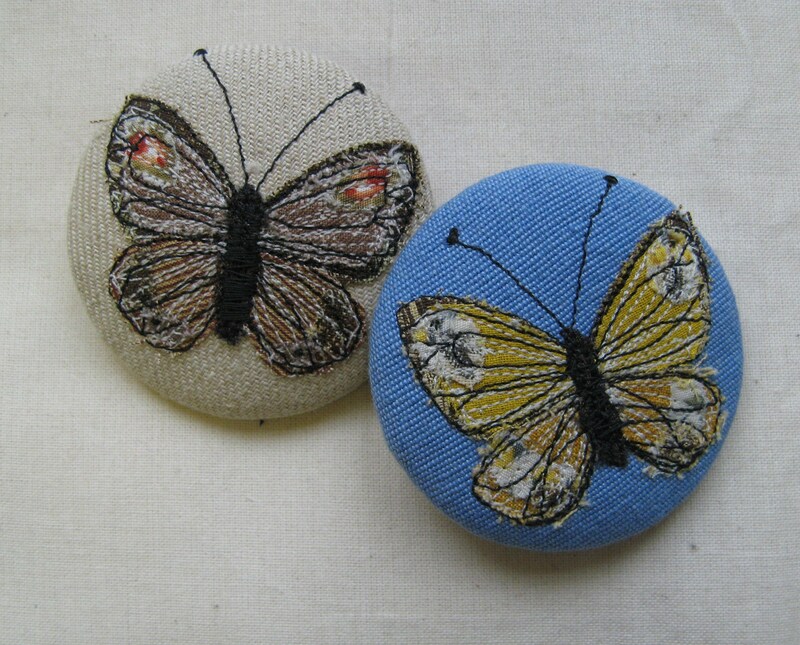 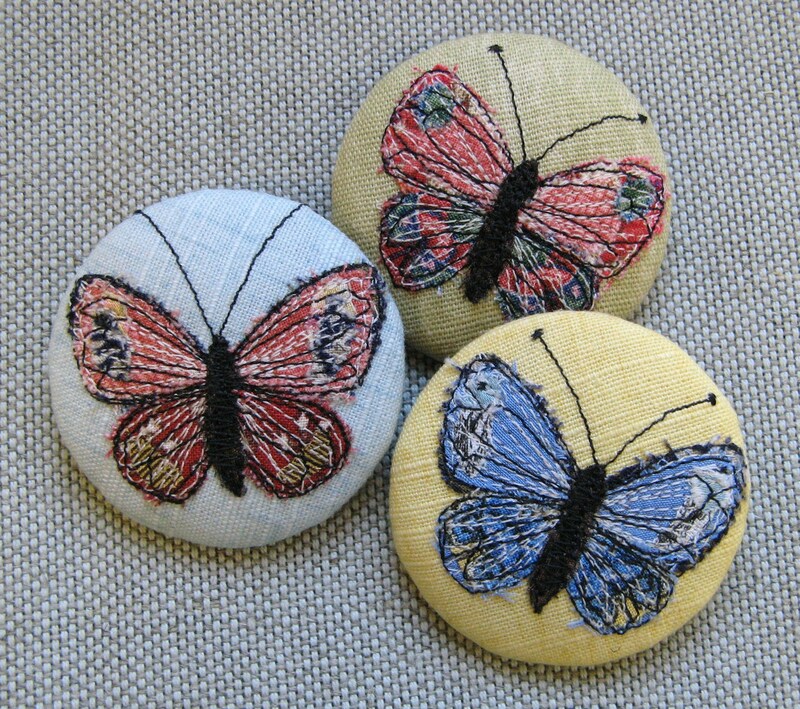 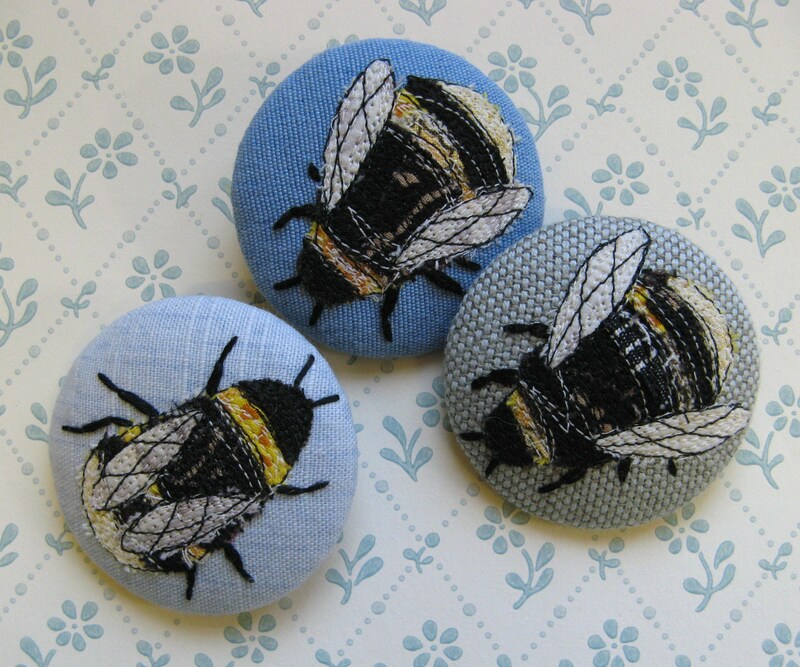 I wanted these butterfly brooches to act as companion pieces to my bumble bees and made them the same way, trying to keep quite a loose feel to them. 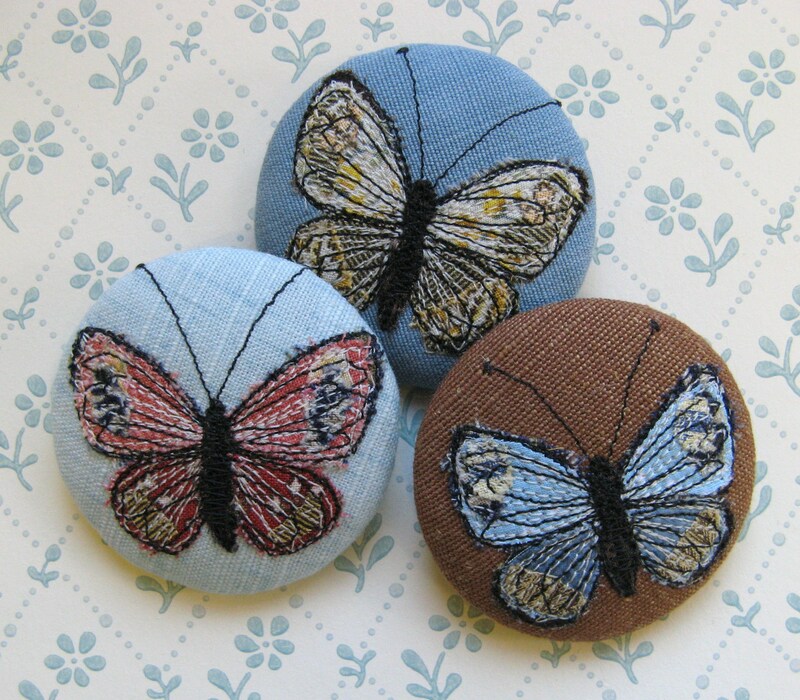 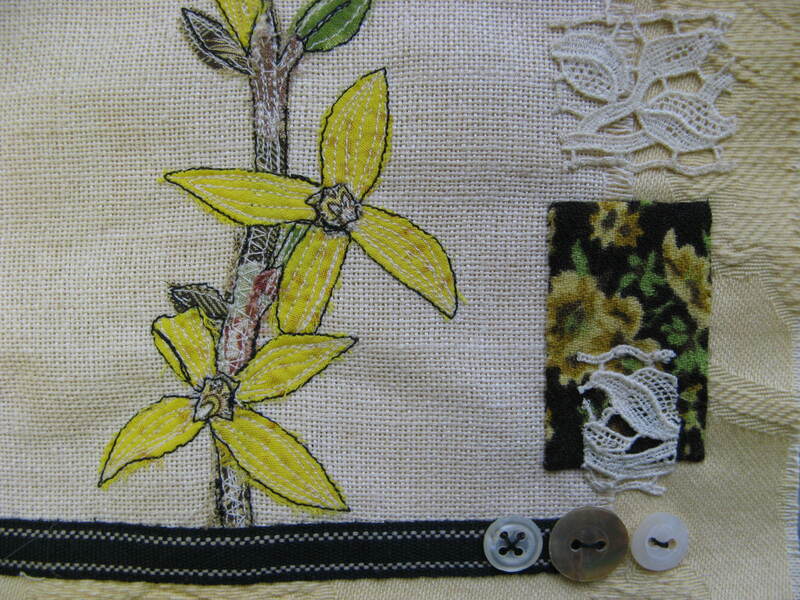 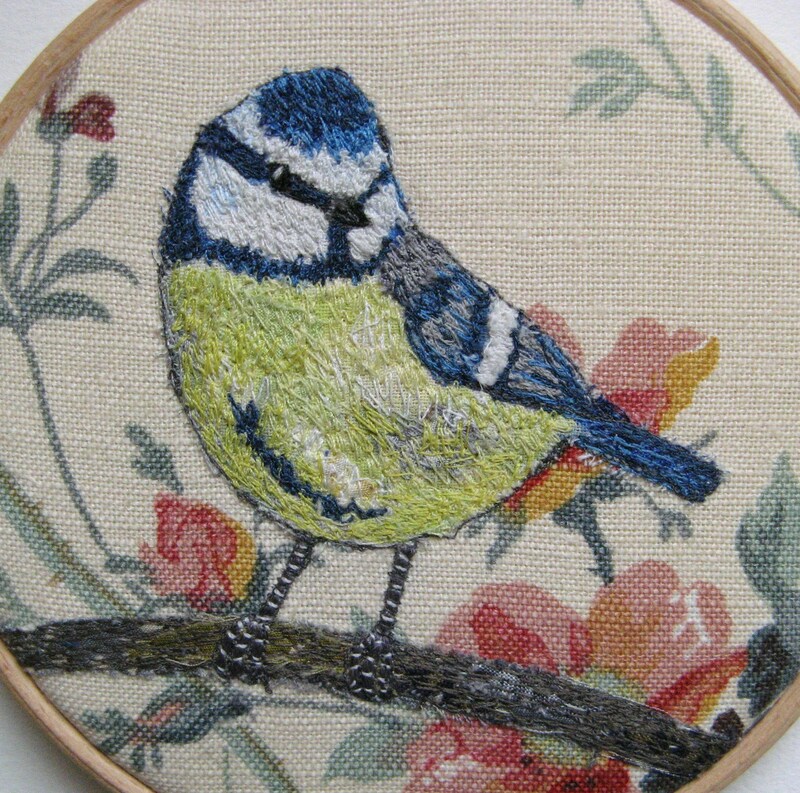 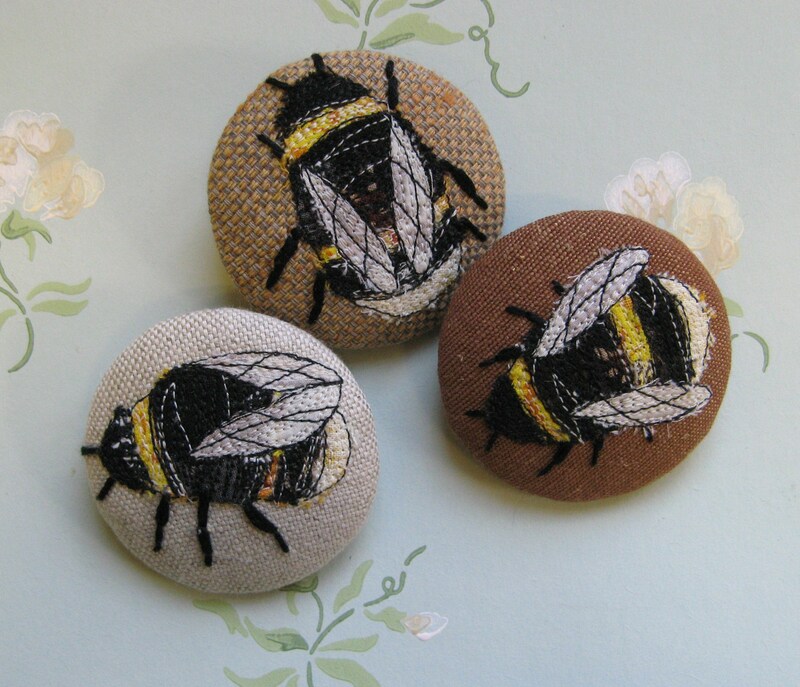 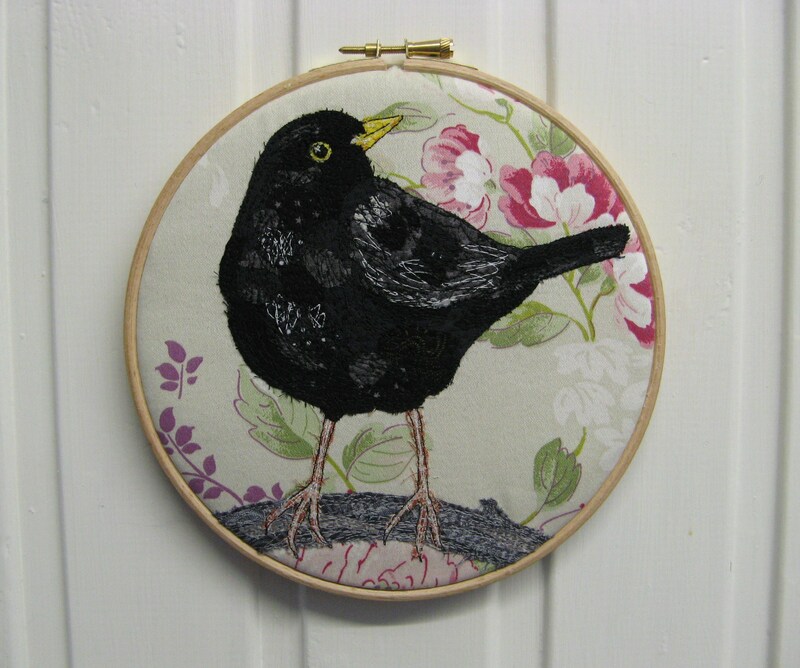 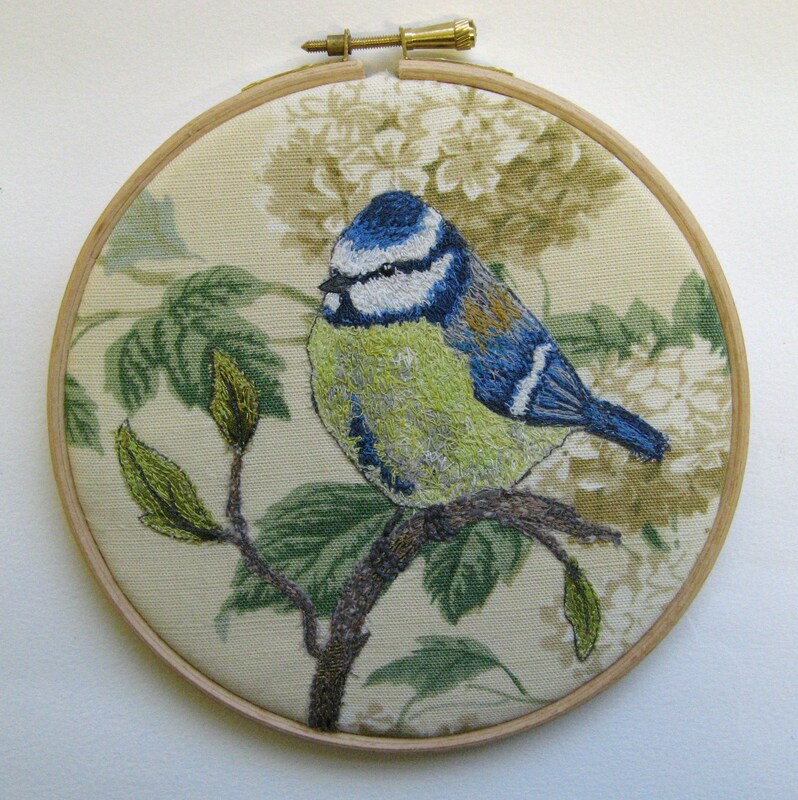 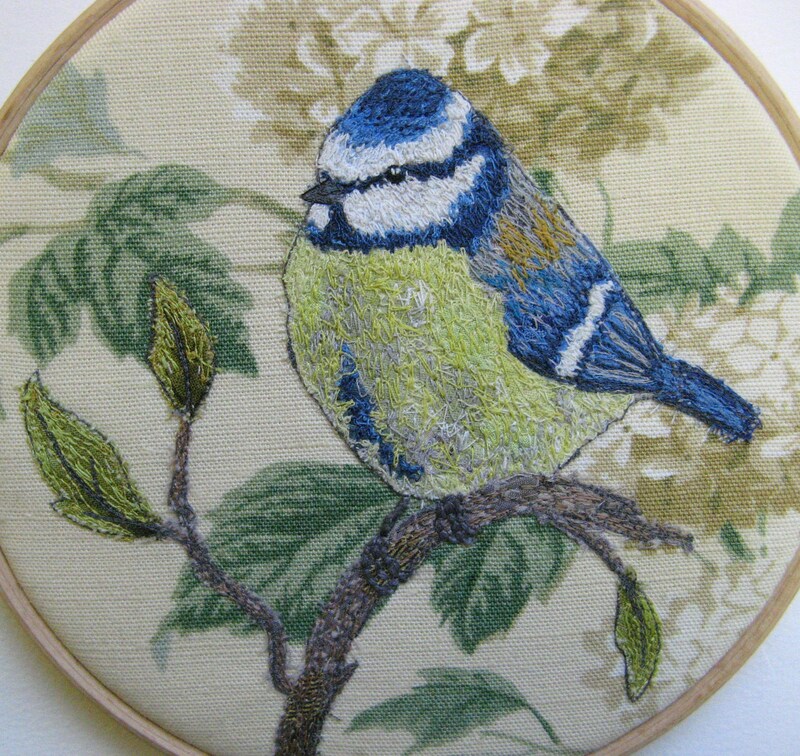 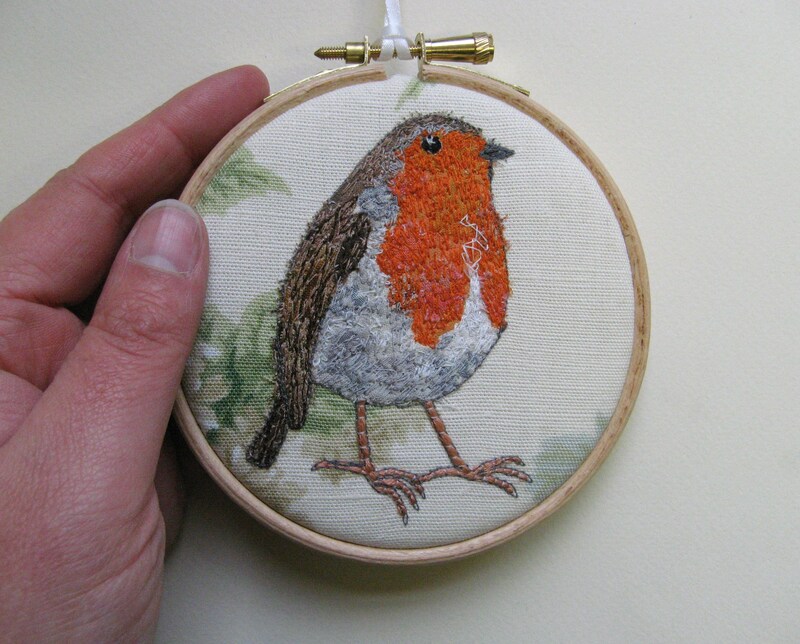 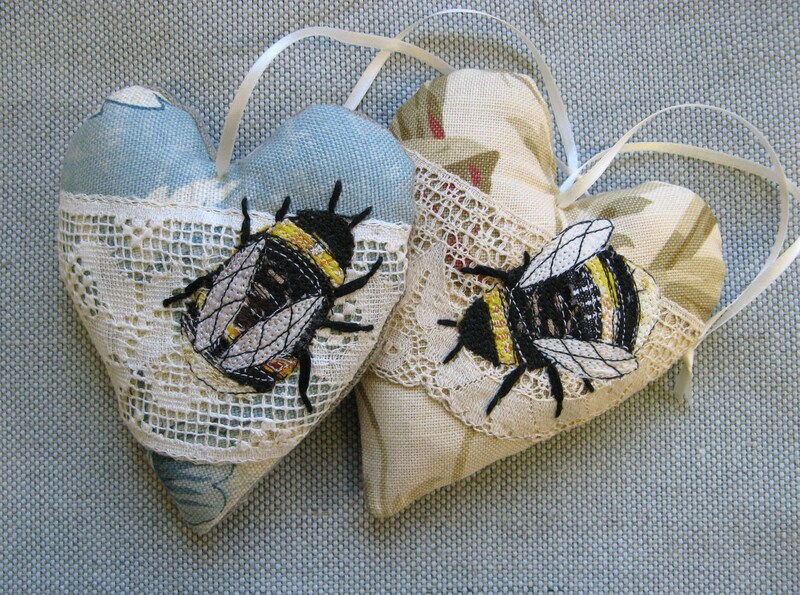 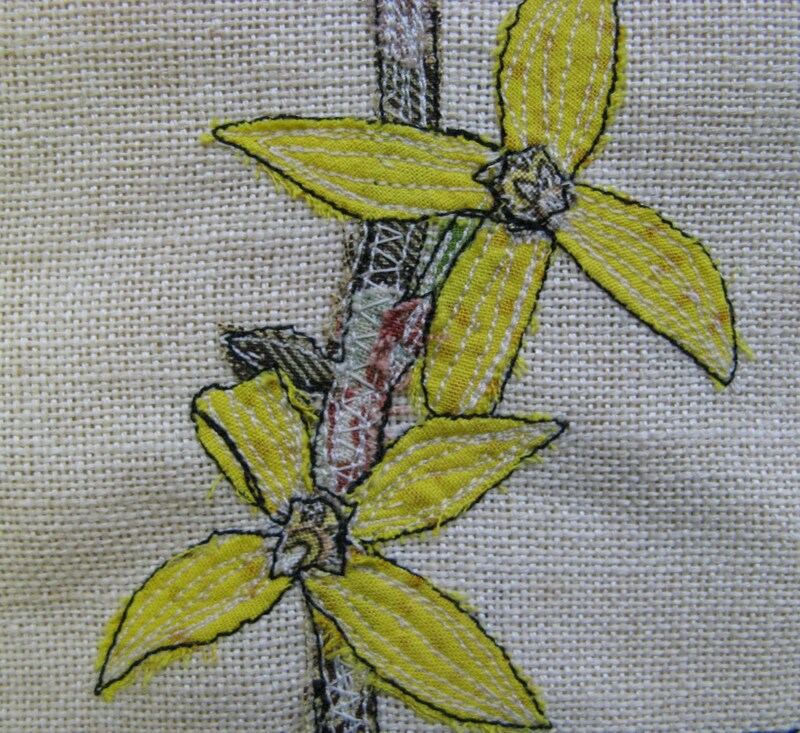 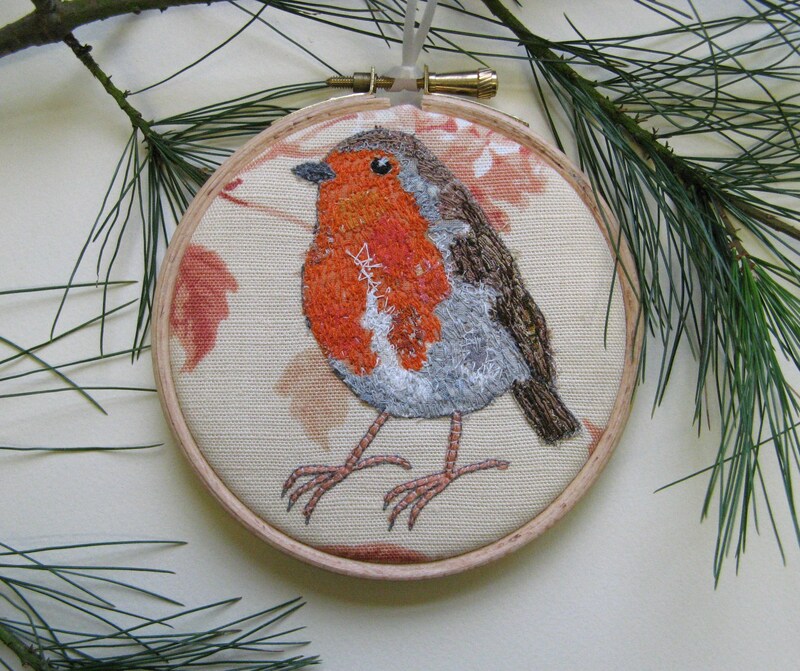 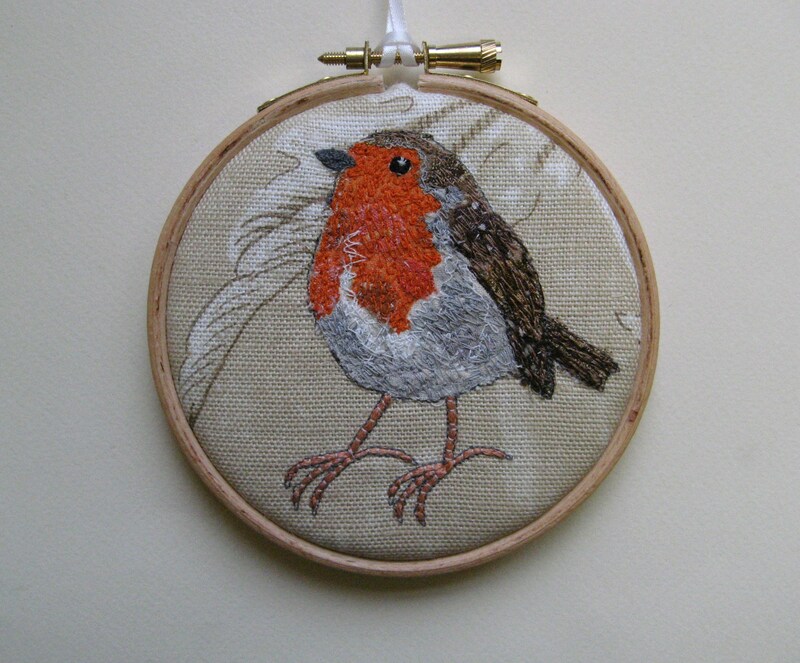 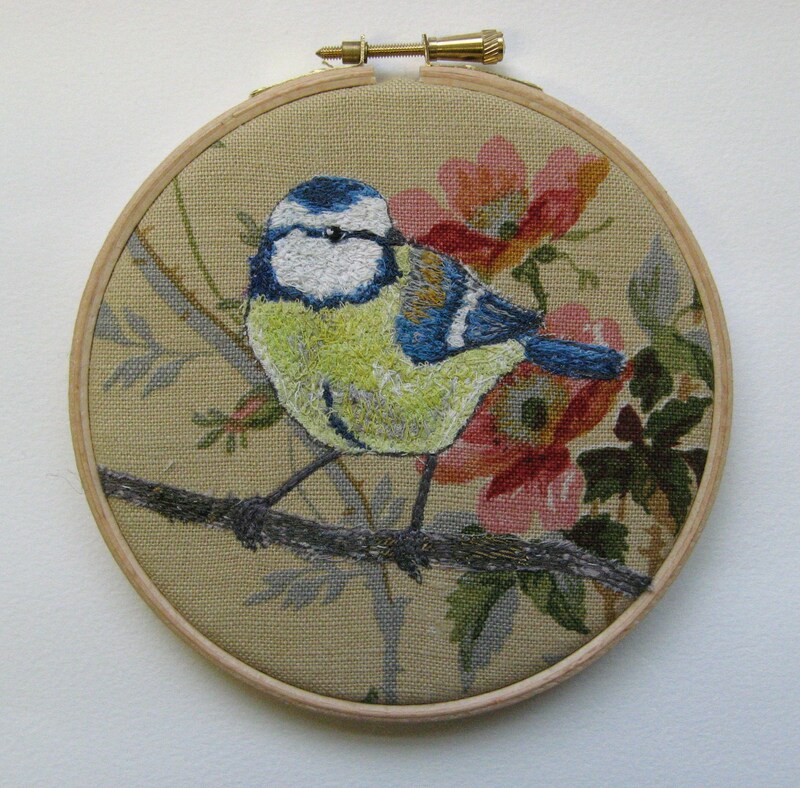 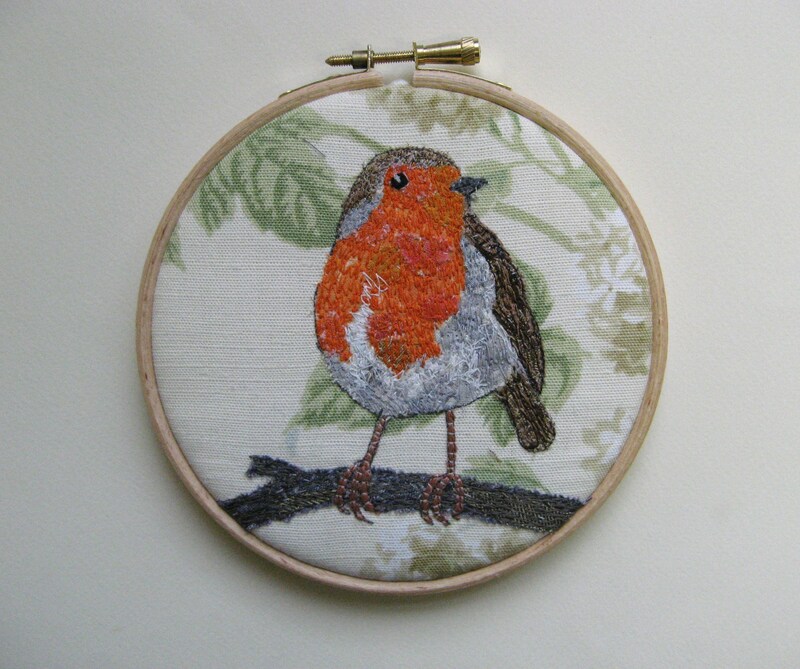 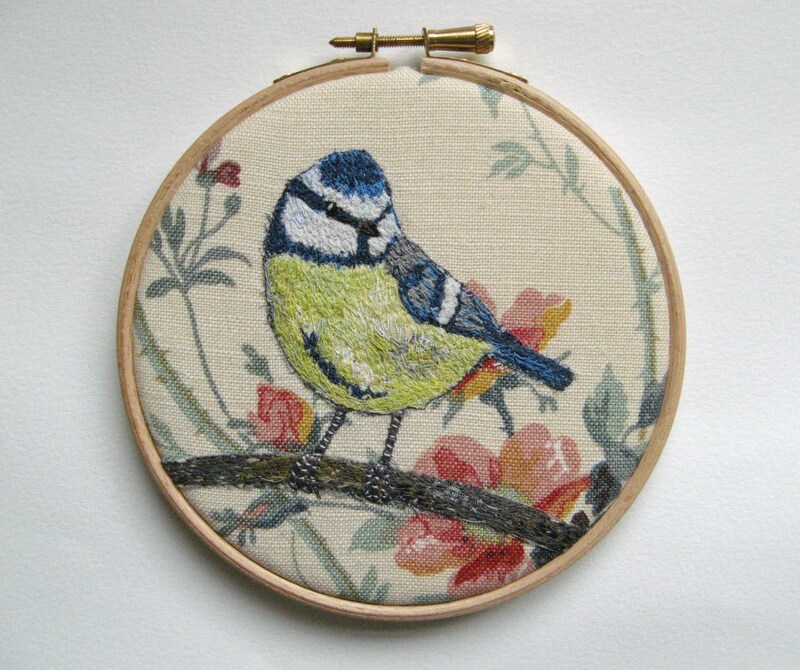 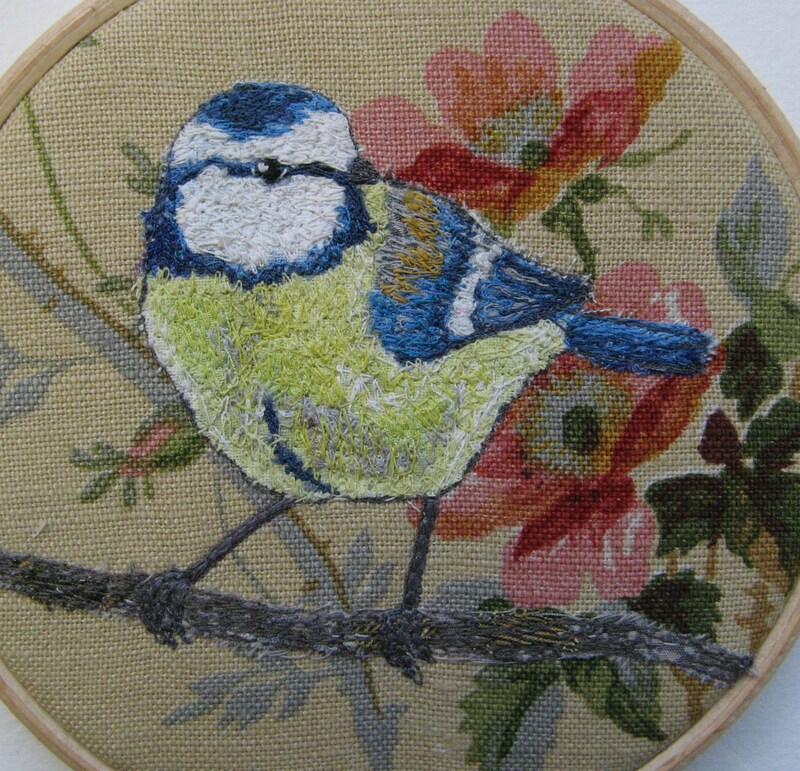 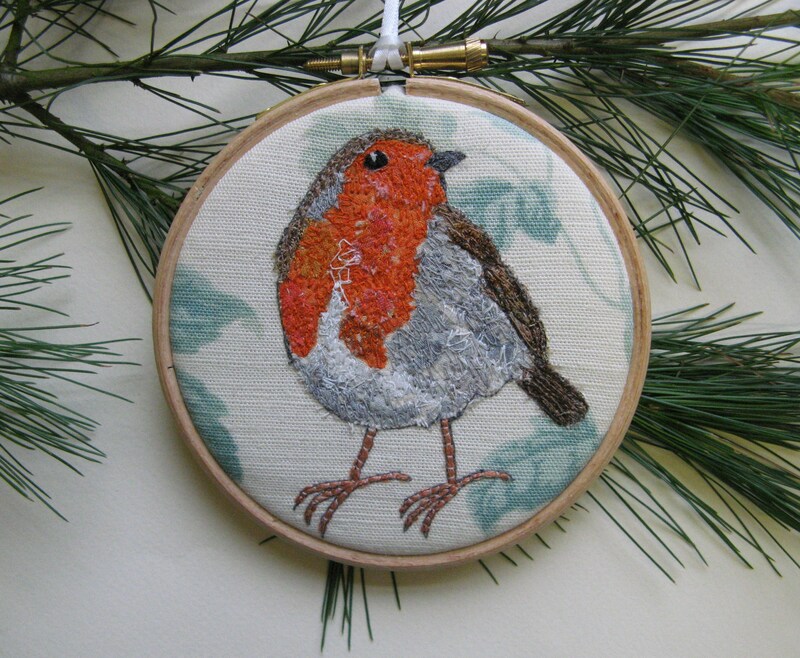 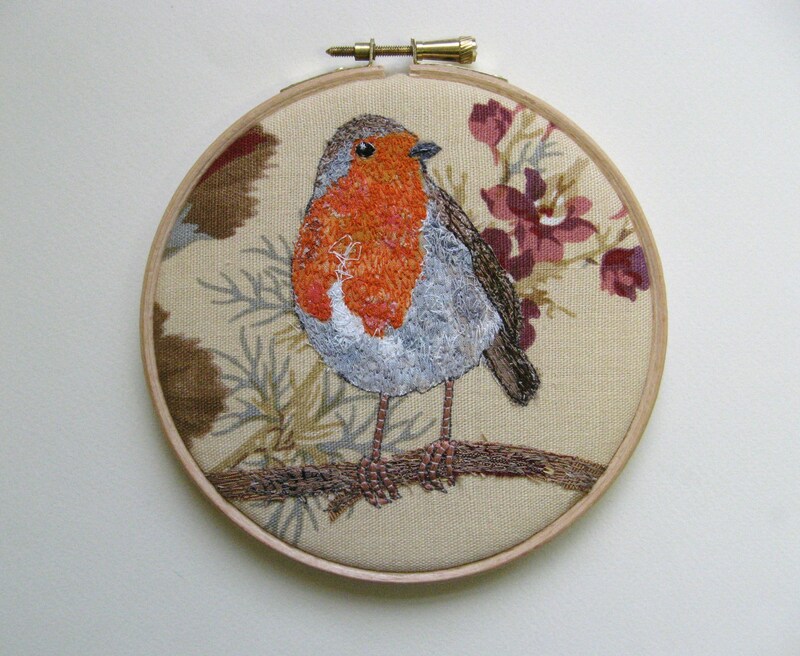 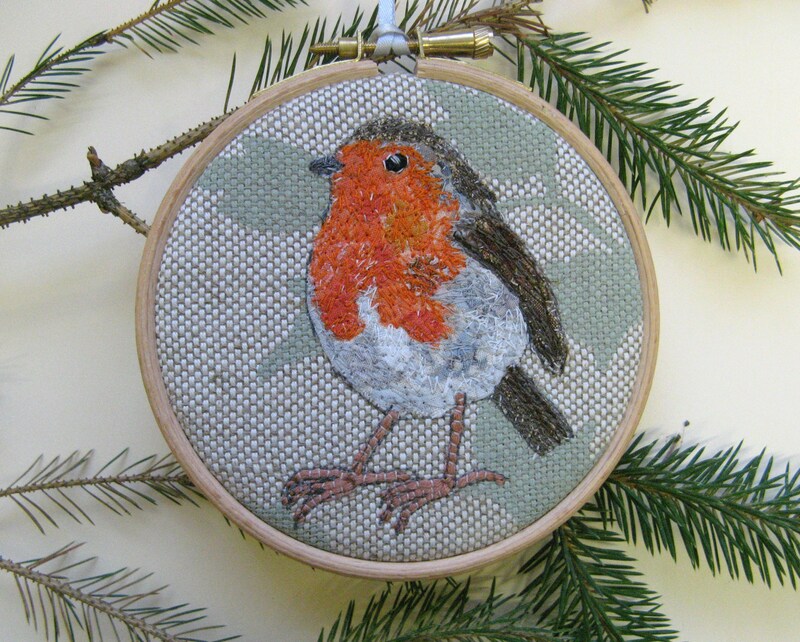 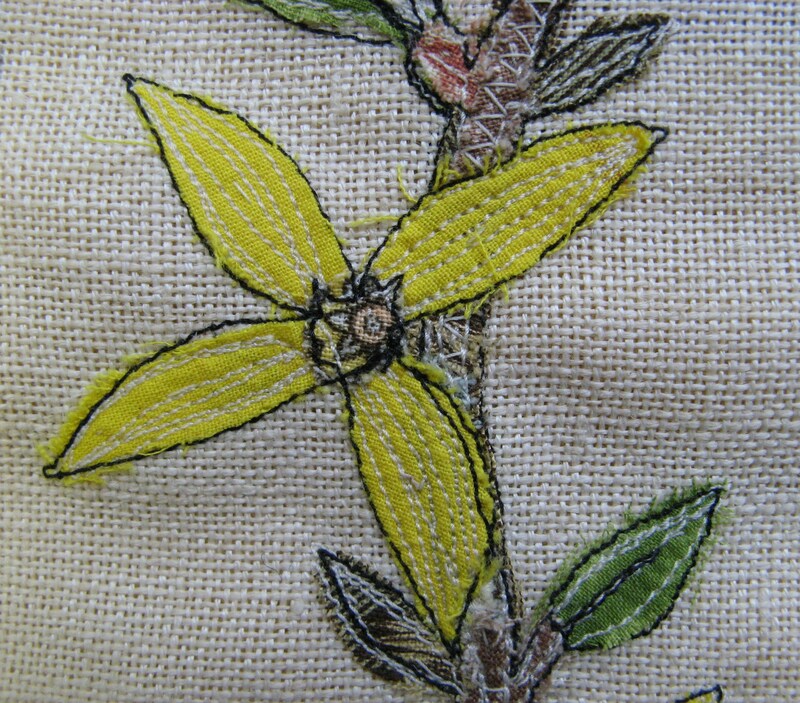 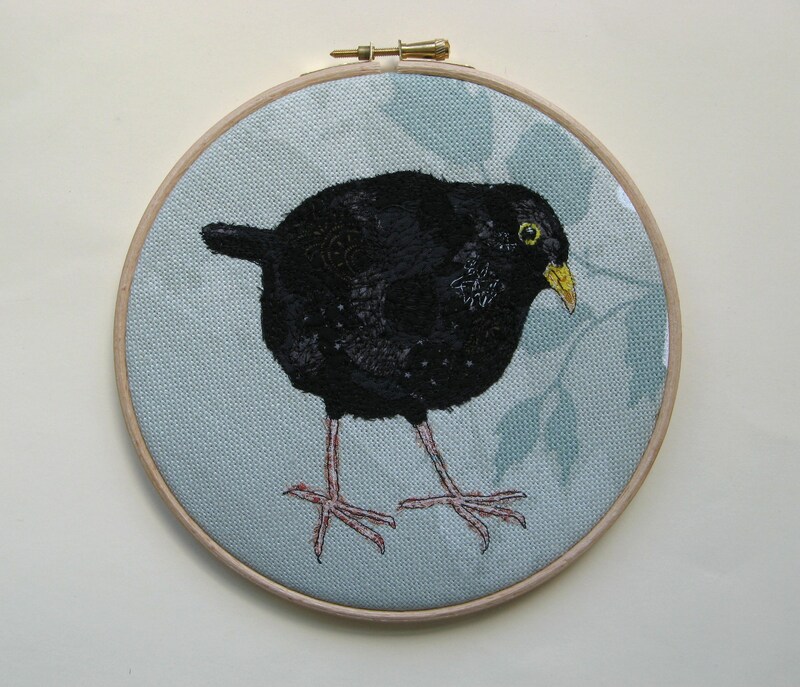 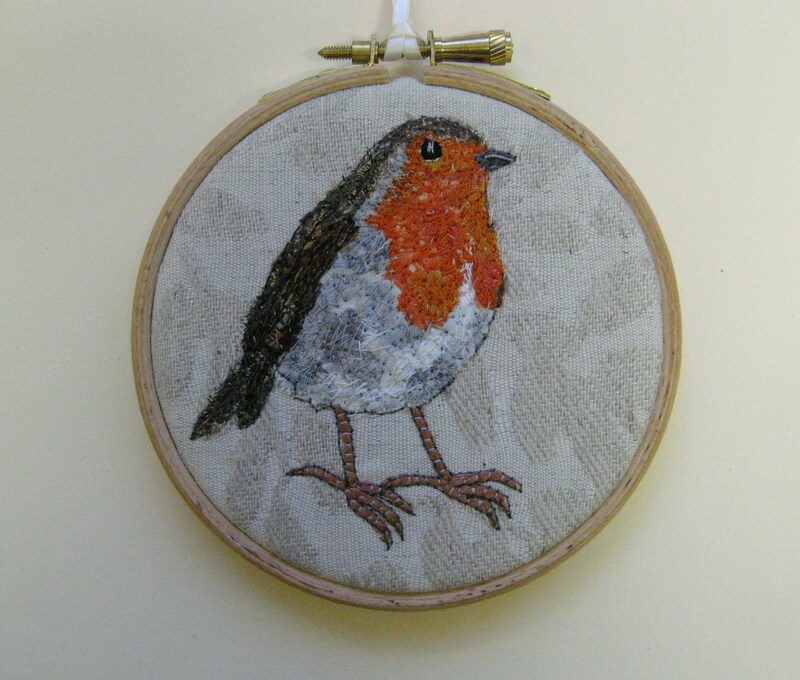 It`s been such freezing, wintry weather all week so I`ve really enjoyed staying cosied up in my sewing room, surrounded by scraps of fabric and accompanied by my cat and Radio 4, creating these tiny heralds of Spring.